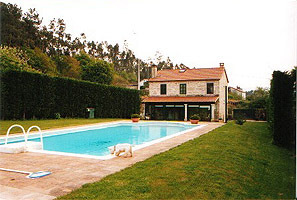 This is a restored granite house in a residential area near Santiago de Compostela, with private large garden and pool. Parking facilities for two cars. Owners only rent it for the summer months. It has 3 bedrooms (two double and one with bunk beds suitable for children), 2 bathrooms, one with shower, one toilet, fully fitted kitchen and spacious sun gallery which overlooks pool. 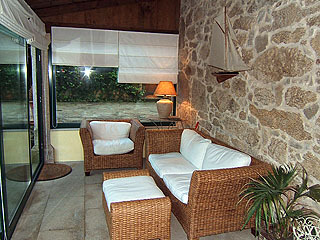 The location is idyllic, in a rural residential hamlet just 6km from Santiago de Compostela, beside a small old village. 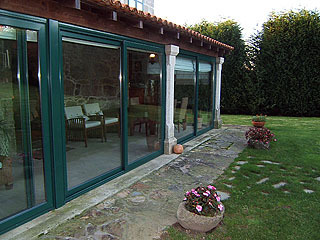 It is at 3km from the local town of Bertamirans which is well served with supermarkets and restaurants. 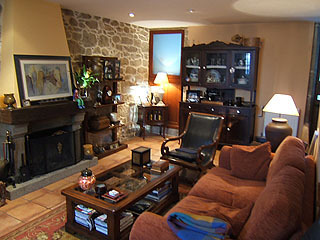 There are some small shops and a couple of restaurants at walking distance from the house. 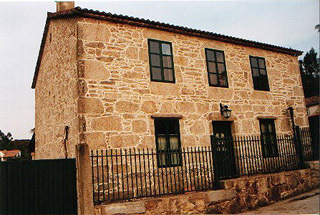 There is a bus stop close to the house which brings you to Santiago and Milladoiro. The local beaches are within a 25 miles drive. 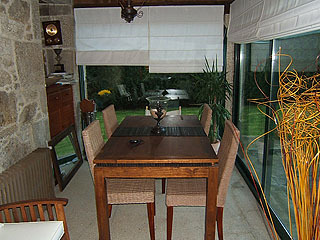 Prices are per week in euros for up to 6 people.